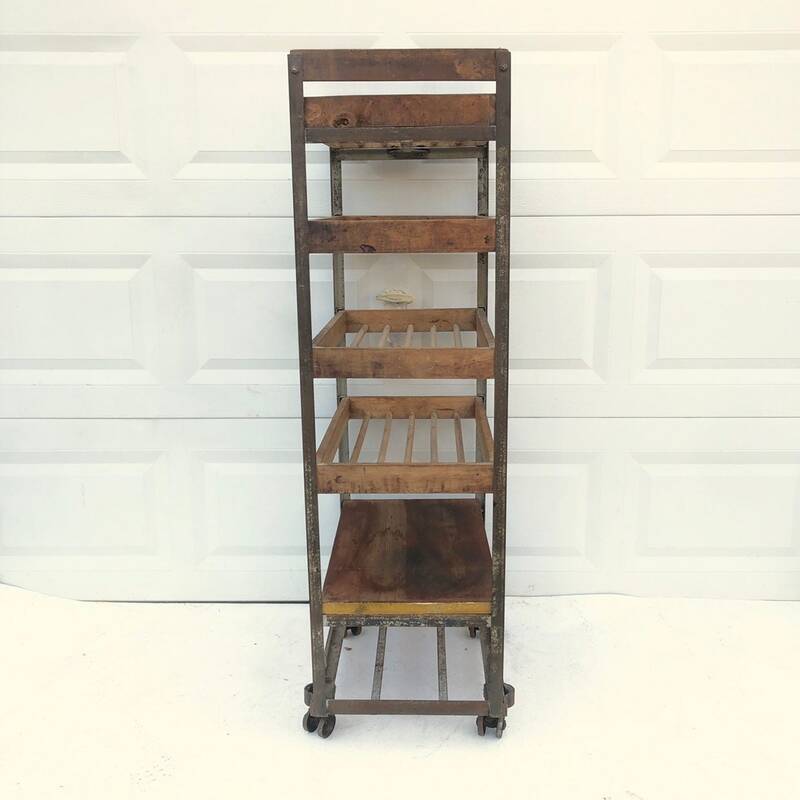 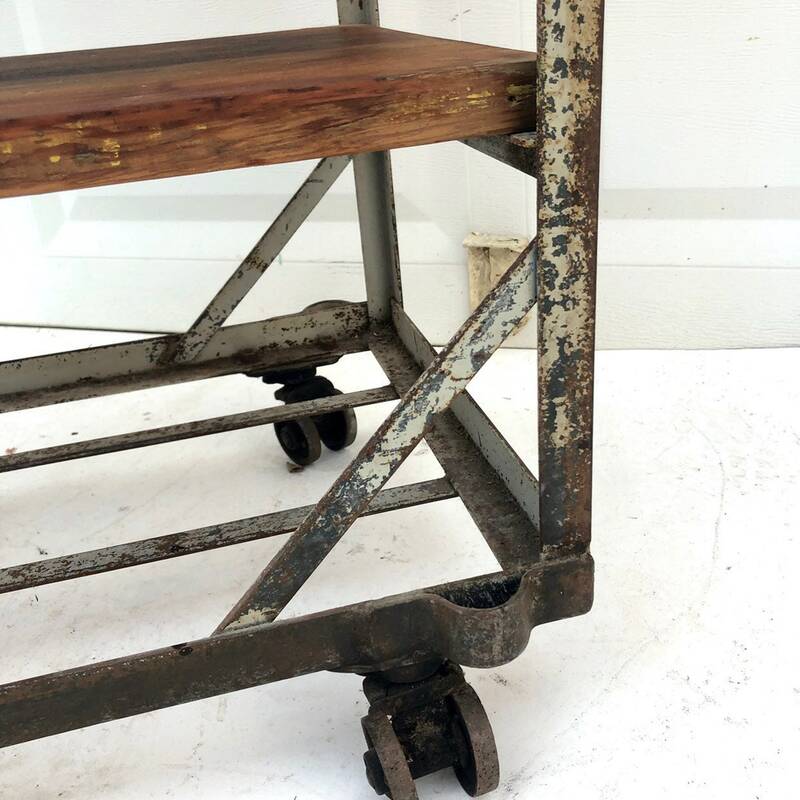 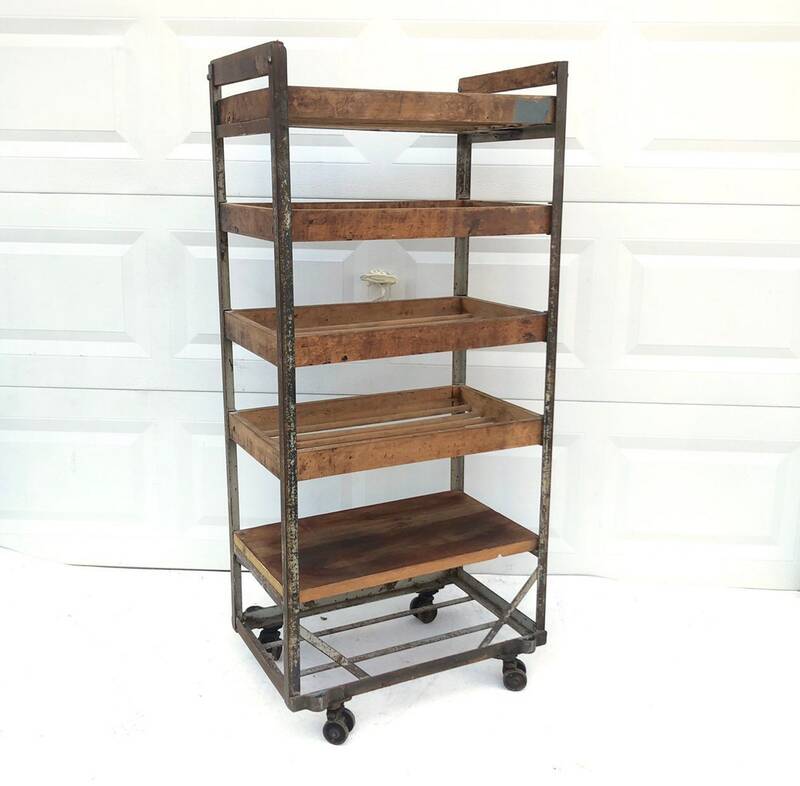 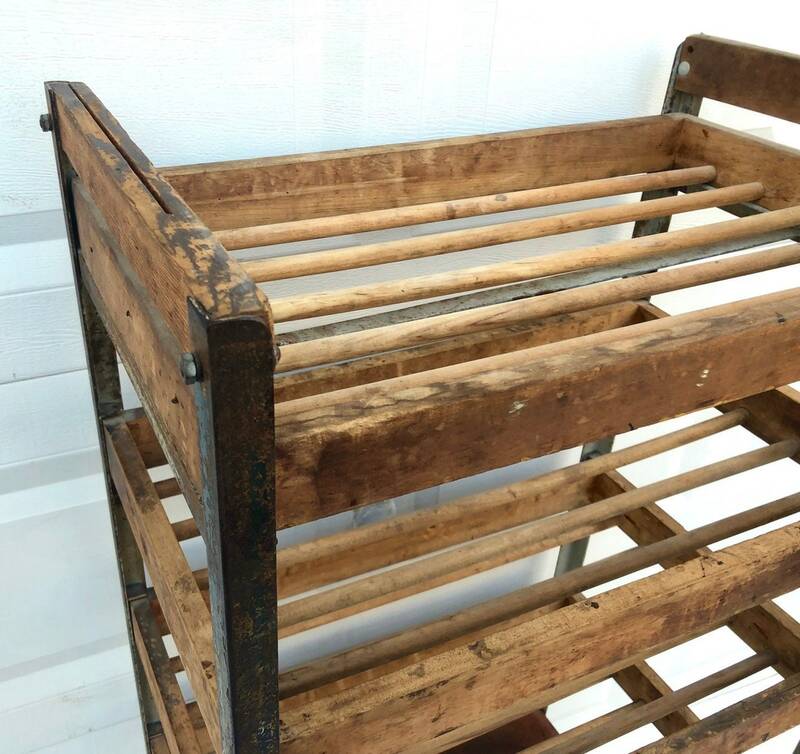 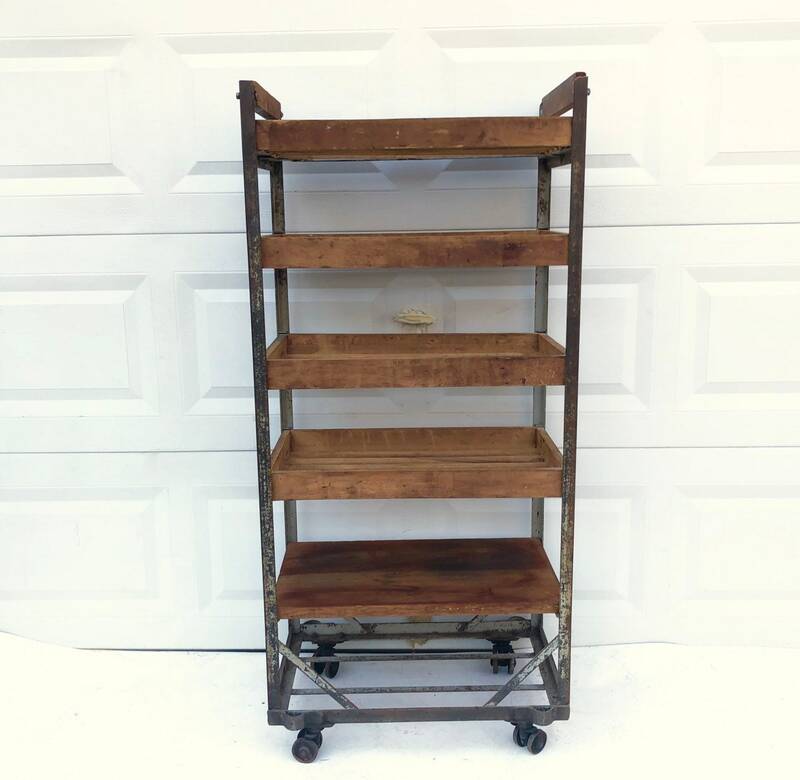 This AMAZING vintage industrial baker's rack features sturdy metal frame on original metal wheels, completed with a mix of fixed wooden box shelves and a removable wood shelf. 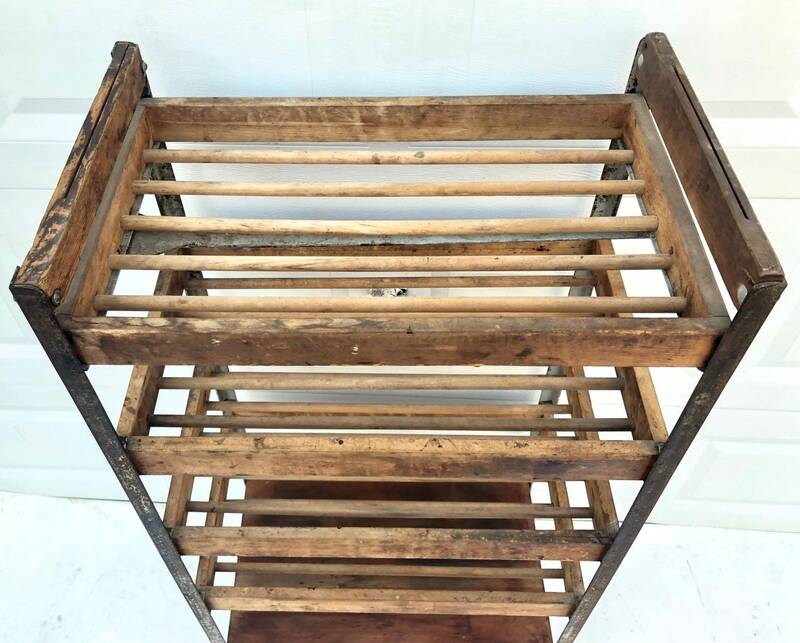 Impressive rustic style makes this a functional display or storage space perfect for home or storefront interior. 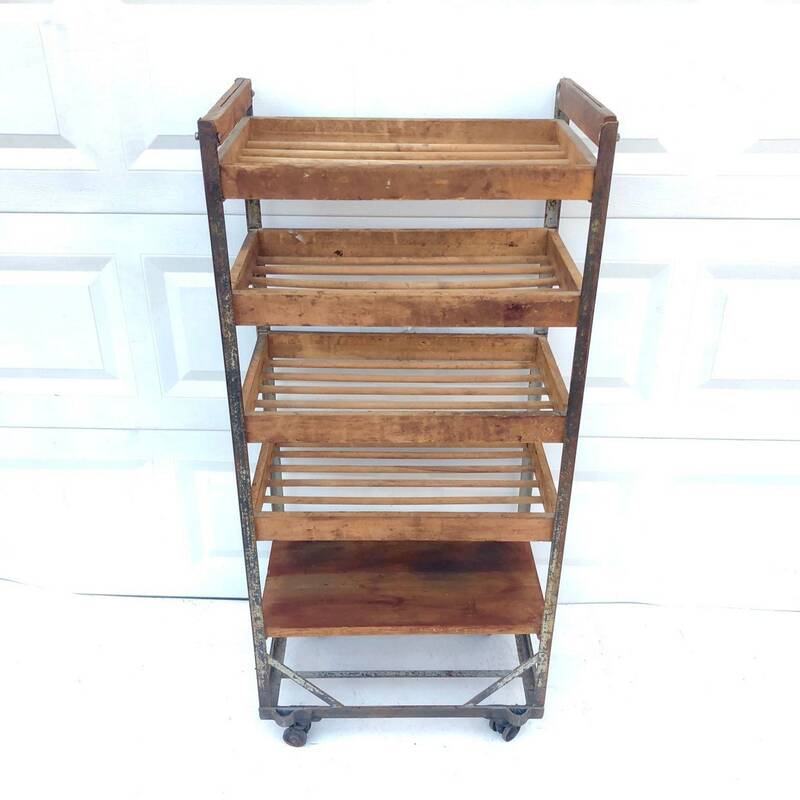 Hip shelving storage in a compact yet practical size! 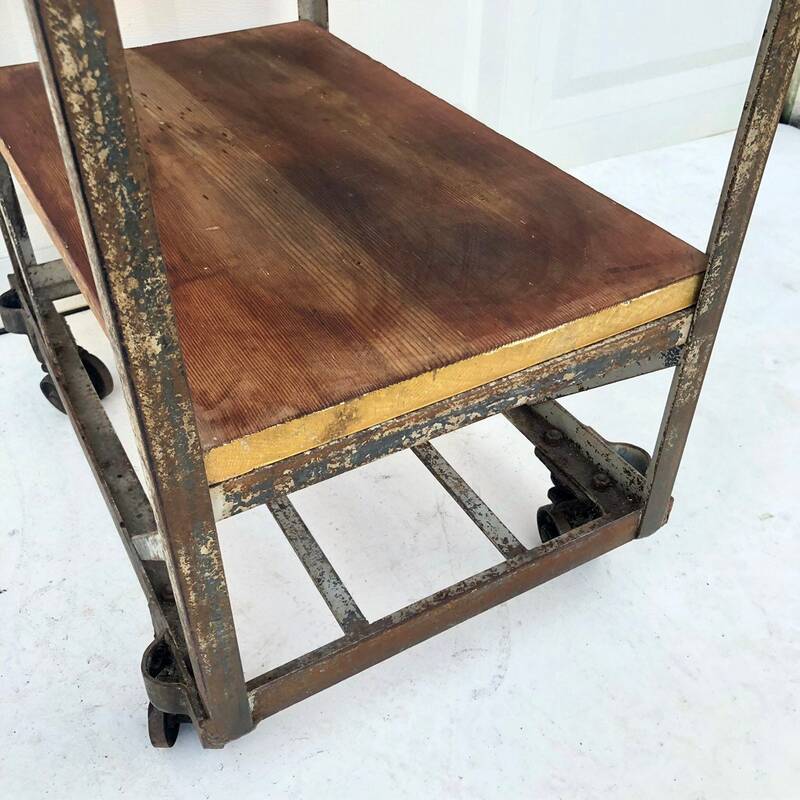 Condition: rustic/industrial condition- some scuffs/scratches/rust/paint residue, edge wear, distressed finish, wheels roll but not smoothly. 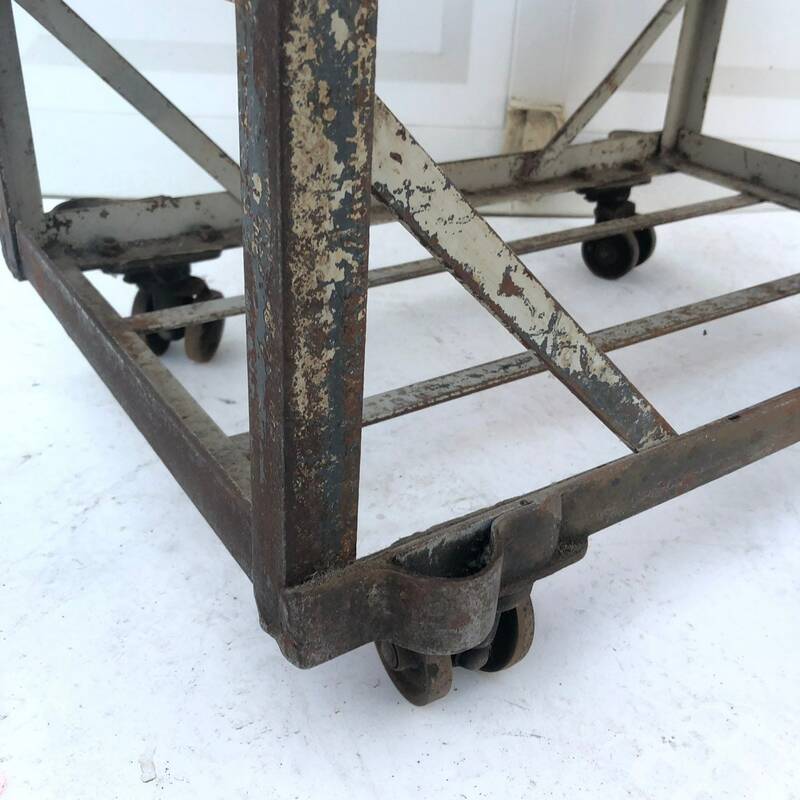 Shipping Quote given is a PLACEHOLDER!!! 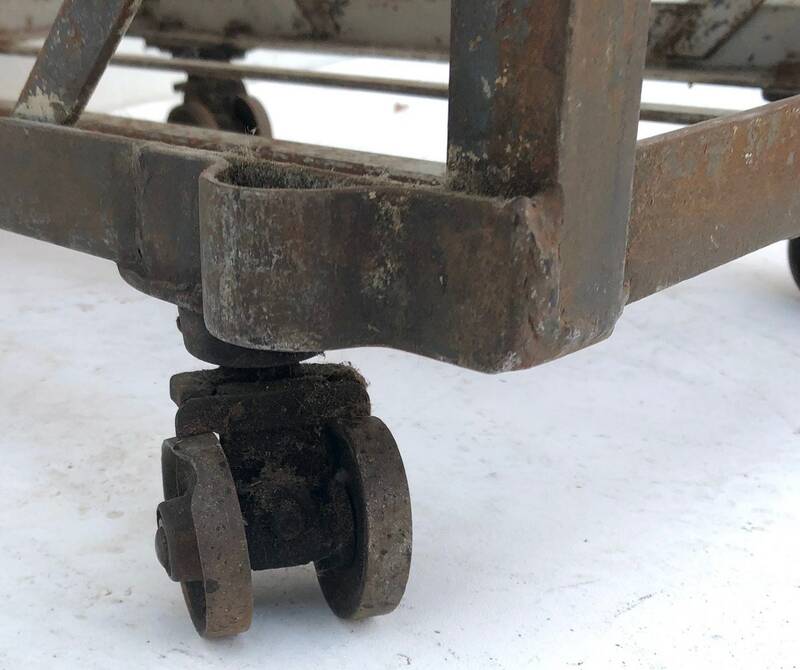 Please contact seller with zip code PRIOR to purchase to confirm actual shipping quote.